In this five part guide, I’m going to help you double your conversion rates. That’s twice as many sales. Twice as many email signups. Double your business. Before we get stuck in, let’s go right back to basics. A conversion is when your customer hits the ‘buy’ button. It’s when they sign up to your mailing list or share your content. It’s when they download your software. It’s when your visitors do what you want them to do. It’s the moment they become valuable to your company. When you get something from your users. It’s your job to make sure this happens as often as possible. What Do You Want Your Visitors To Do? Setting website conversion goals is just like setting goals in real life. You wouldn’t set yourself the target of running a marathon, and then run 26 miles tomorrow, right? You’d break it down into smaller goals that feed that big goal. This gives your website structure. To make this effective, you’ve got to start at the top and work backwards. What Is Your ONE Ultimate Conversion? What is that one thing that powers your business? What is the ultimate goal? Defining this one goal is the most important thing you can do for your website. Why? Because you’ll design everything else to lead towards it. Let’s say you’re Amazon; you’re running an online store. That ultimate conversion is the purchase page. The single biggest goal is getting people to buy their products. 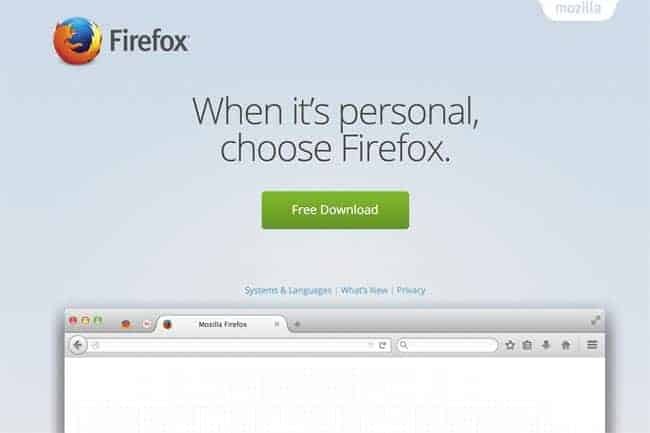 If you’re Firefox, your ultimate conversion goal is getting people to download the browser. If you’re Spotify, it’s signing up to a paid subscription. It all comes down to this: what is the single most important metric to your business? Choose that one thing that drives your business forward, and that’s your ultimate conversion goal. 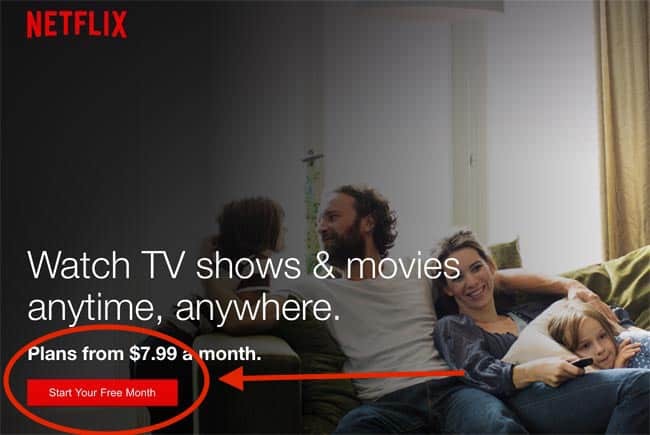 Netflix’s ultimate conversion goal is getting you to pay for a monthly subscription. But, they know that if they ask you for $8.99 a month straight out of the box, you’re going to run a mile. Instead, they offer you a free trial month, without so much as asking you for a penny. Signing up to that initial free trial is a conversion. But it’s not the ultimate conversion. Netflix use the free trial to draw you in, and slowly convince you to make the upgrade. Another example is online stores using a basket or a wish list. Adding something to your basket is a small conversion that leads to the ultimate goal of buying. You need a series of smaller conversions that lure people to your one ultimate goal. These small conversions should have little or no resistance involved. In other words, it should cost the visitor nothing. If you can give them something back, even better. Let’s say you run a consultancy service. Your ultimate conversion goal is for visitors to hire you. But, no client will hire the first consultant they stumble across online. You’ve got to make a series of small conversions first, and build the relationship. You could offer your visitors a free eBook in exchange for an email address. That’s a quick, easy conversion, and eventually you can ask for the ultimate goal: paid consultancy. This varies depending on your industry and business model. So, try your own version now. Make a short list of free, easy conversions that will draw your users closer to your final step. Before any of your other goals are met, you’ve got to complete the hardest conversion of all: getting people to click on your website. Media sites and blogs are great at setting these engagement goals, and all businesses can learn from them. Let’s take The New York Times, for example. Their ultimate conversion goal is paid subscription. There’s a clear three-tier system here, but it’s crucial that you start from the ultimate conversion, and work backwards. So let’s try it for your website. Start by defining that one ultimate conversion that drives your business. Next, set three or four resistance-free conversions to lure them closer. Finally, set engagement goals that helps draw appropriate traffic to your website. Giving your conversion goals structure is the first step to doubling your conversion rate. I’d love to hear about you conversions on your website! Please let me know your website goals in the comment section. Now, read part 2 – Lead customers right where you want them with a user journey map.